Paris is an enchanting destination blending history, seduction and culture to create an experience that never fails to excite. Hosted Villas is thrilled to announce that it has just launched its Hosted Amour tailored vacation package. From personalized details at your luxurious Parisian accommodation to the finest selection of sensual and culinary pleasures, Hosted Amour will curate a bespoke exclusive, romantic adventure for you and your loved one in Paris. After checking out the amazing view from atop the iconic Eiffel Tower, climbing to the top of Montmartre, shopping in the boutiques along the Champs Elysées and sampling some delicious Parisian fare in a cozy local bistro, make sure to leave time for a romantic walk with your loved one across the Pont des Arts bridge which crosses from the Left Bank to the Louvre museum over the River Seine. To this day, an old tradition is kept alive when lovers affix an inscribed lock to the Pont des Arts and toss the key into the river sealing their exploit with a kiss. This is definitely one of Hosted Villas’ must-do Romantic Parisian activities! Hosted Amour even provides couples with a handsome custom lock to create your own romantic Parisian story! The famous Pont des Arts, with the majestic Notre Dame Cathedral in the background. Apparently, the legend surrounding love locks and the padlock tradition began when a schoolmistress would meet her lover, an army officer on a bridge in Serbia where they pledged their love in the days before World War I. The soldier went on to fight the Germans at the Thessaloniki front in Greece, where he found a new love and married her. The schoolmistress is said to have died of sadness and grief. Her tale of grief inspired young couples determined not to abandon one another, to begin writing their names on padlocks and chaining them to the fence of the bridge where the couple pledged their love. Some years ago, couples in Paris followed suit and began locking padlocks onto the chain link fence of the Pont des Arts. The love padlocks called cadenas d’amour, multiplied until there were thousands of love tokens on the bridge, each engraved with a message of love. After locking the love padlock onto the fence, lovers toss the keys into the Seine river, a sign of their eternal devotion. Try it for yourself! 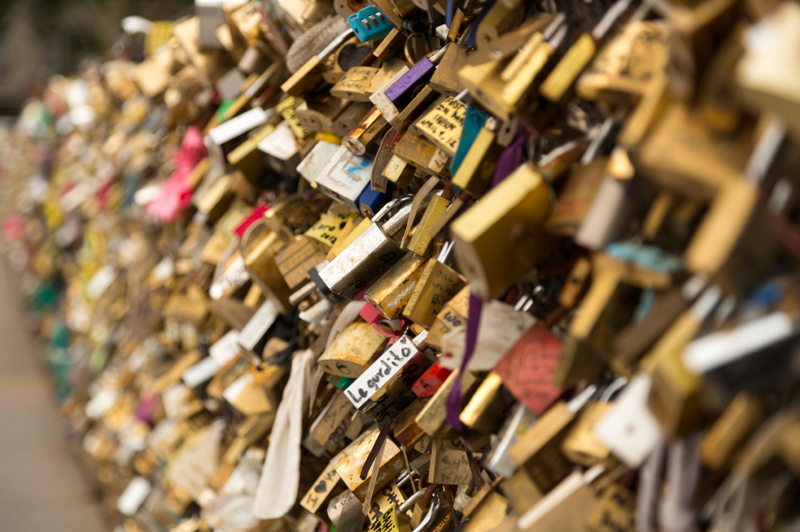 Lock your love down in Paris and join the thousands of happy couples who have pledged their love so publicly in Paris! Be warned however, there are two bridges in Paris with love locks; the Pont des Arts is for your committed love, while Pont de l’Archevêché is for your lover! Ask our Villa Specialists today for more details about HostedVillas’ customized romantic getaways. 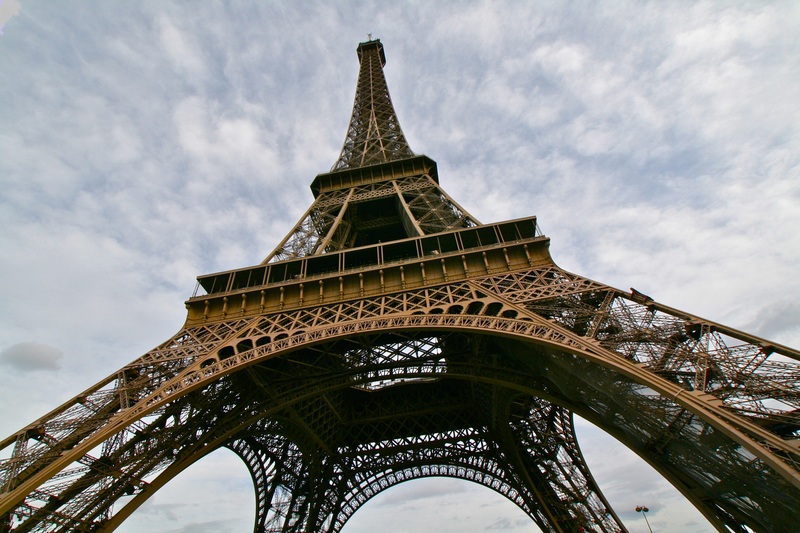 All of our luxuriously appointed Paris apartments are located in downtown Paris. Whichever property and activity selection you choose, Paris and Hosted Villas will provide you with a romantic city adventure like no other.